When Nellie Chouinard founded the Chouinard Art Institute in the 1920s, the school soon became the preeminent institution for training Hollywood animators, and one of its first students, La Verne Harding, went on to help quietly break down gender barriers in American studio animation. Harding was managing some freelance work as an illustrator—and was beginning a promising run as a newspaper cartoonist—when Mrs. Chouinard told her to go to Universal and speak with Walter Lantz about a job. Harding wanted to be an animator, but had no specific training in the field. Her study at Chouinard, from 1930-32, was in the more general realm of commercial art. In fact, at that time there were no courses there specifically in animation, only in related topics such as figure drawing, design, and painting. Nellie Chouinard, a wealthy widow, professionally went by the name Nelbert Murphy Chouinard, which she purportedly invented. Her students all called her Mrs. Chouinard. With her mentor’s encouragement to go see Mr. Lantz, Harding took a handful of sample drawings and embarked on an interview that changed her life. The Universal Cartoon Dept. was a bit of a makeshift operation in 1932, but it was certainly bustling with growth and activity. It was housed in a wooden building with a large open room where the animators all worked together on Oswald Rabbit and Pooch the Pup cartoons. At that time, she knew little about Walter Lantz, but she found him to be nice on their first meeting. Lantz liked her work and he needed an additional animator. In fact, the available pool of talent in Hollywood remained sparse and the experienced animators from New York had mostly been taken. Harding thought that Lantz was intrigued and “curious” about having a female animator. A month later, he offered her a job, but first as an inker until she proved herself. This new environment was perhaps more juvenile than she anticipated, but she managed to fit in, even if she never engaged in the pranks that happened all around her. She was a reserved person, having been born Emily La Verne Harding in Shreveport, Louisiana on October 10, 1905. After enduring a transition on account of her Southern manners, she got to witness some wild sights at the studio. One that she particularly could recall, even years later, was Tex Avery flirting and teasing the women in the Ink and Paint department. He wrapped rubber bands around his head and then thrust his face over the partition, intending to scare one of the girls, but Walter Lantz had just come into the room and the place filled with laughter when Tex ended up giving the boss a scare instead. Harding remembered that after she started in 1932 she inked for about three weeks and then “an in-betweener quit so Lantz tried me out.” She worked this position for some time, teaching herself the dynamics of motion. She learned on the job from the other animators. 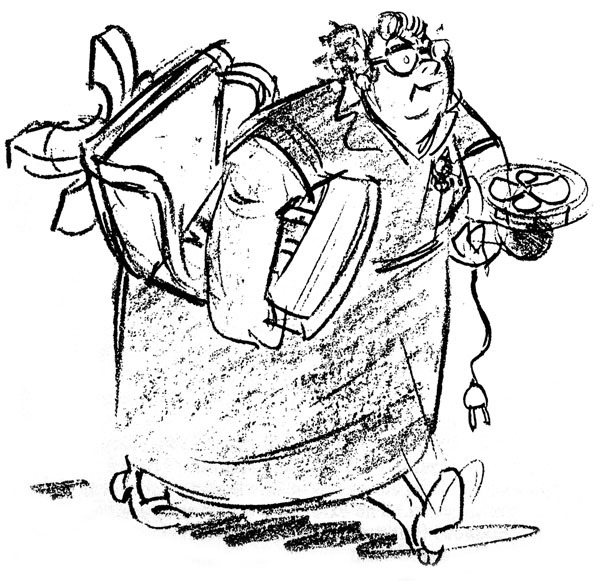 In fact, at the age of 27, she would have been considered somewhat older to be starting her career in animation. Then in 1934, two opportunities came her way: Lantz promoted her to be an animator (this made her the first woman to hold this position in Hollywood) and she became a syndicated cartoonist on the Cynical Susie newspaper comic strip, written by Becky Sharp. Harding had been doing a one-panel version of this strip, starring the resourceful and mischievous little Susie, in the Los Angeles Daily News as early as 1931. It must surely have been a credential that impressed Lantz when he hired her. Cynical Susie soon became too big a project for Harding, though. The United Features Syndicate demanded that she produce a different daily four-panel Susie strip other than the one she did for the Daily News, as well as a color Sunday strip, and the strain of drawing two dailies on top of a full-time job was immense. It appears from records that she quit the syndicate only a month after starting. An addendum to the letter, included at a later time, indicates that Harding accepted terms virtually as laid out in the above sentence, thereby terminating her stake in the ownership of Cynical Susie. There has been recent speculation that Becky Sharp may have been a pseudonym for Harding, but the existence of this legal contract, which is held in an archive at UCLA, instead suggests that Becky (or, sometimes Beckie) was the pseudonym of a woman named Helen Sharp. The strip continued with a new artist. It was a widely held aspiration among a number of the Universal animators, including Avery, to be a newspaper cartoonist. This must have garnered her quite a bit of respect from the boys working at the desks all around her. Harding’s name appeared daily on this new comic strip that was growing in success, yet she gave this up to pursue her budding career as an animator instead. 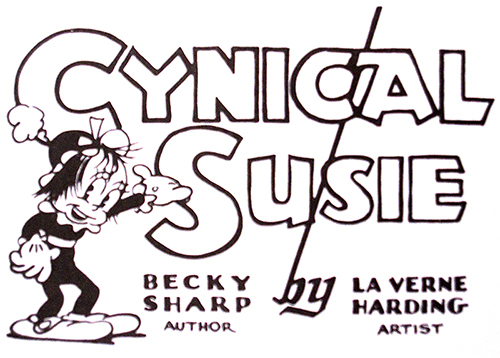 As a tribute, Cynical Susie was given cameo appearances in the Universal cartoons. I had read in an earlier post that Harding’s replacement on “Susie” was Bernard Dibble, a United Features bullpenner who was drawing the daily “Captain and the Kids” strip. No doubt Becky Sharp got her pen name from the protagonist of Thackeray’s “Vanity Fair” – which was filmed in 1935 with Miriam Hopkins (the first feature film in 3-color Technicolor). Wow, this is fascinating. I wish the post had gotten into the individual cartoons that Laverne Harding animated on, especially the cartoons in which Cynnical Suzie appeared. Thanks for another great piece of history, especially from a female point of view. I often wonder what pushes an individual to want to be an animator. In my day, I lived inside animated cartoons; they were all over daytime and Saturday morning TV and even on before the morning news on a major network or two! Of course I wanted to be an animator. I drew a lot, especially after a full morning of MGM cartoons, but my vision began to fade in and out during the mid-to-later 1970’s, so I retain ani nterest of the old cartoons that I used to watch all day. I bother to bring myself into the spotlight, here, not that I was good enough to even think about a career, but I was inspired by all the classic animation I was constantly exposed to just by turning on my TV. Young budding animators of the golden age would possibly see a classic Disney film or the premier of a new short subject at their local movie theaters, but it wasn’t as if they were assaulted by cartoons. What inspired men *AND* women to want to be in this business of making drawings move, and how many otherwise brilliant ideas were dropped for whatever reason? Who might have wanted to accomplish what Walt Disney had done in expanding the animated cartoon into full length motion pictures? And did they want to do more than just animate an established fairy tale? Jean Brittan co-owned a business school with another woman in Los Angeles in the ’20s. She was born in 1888, one of 14 children, and named for her mother, Olive Jean Brittan. I have no idea what her connection was to Harding. She died in 1949 and is buried with her brother, a retired judge, in Bakersfield. Like Harding, she never married. It’s possible that Jean Brittan’s connection with Cynical Susie may have been by way of Helen/Becky Sharp rather than Laverne Harding. Being the owner of a business school, she may have been brought in as an agent to help negotiate the details of contracts, etc. and act as manager in such matters. Dallas McKennon, the voice of Buzz Buzzard, introduced me to her. LaVerne was a great lady. She encouraged me as an animator and took me to the Cartoonist Union to show me that was the way to get a job. She was responsible for getting me my first job in animation. At the time I didn’t realize what a pioneer she was. I wish we had the Internet and DVD’s with bonus features then to really appreciate the people who came before us. Thanks for these great perspectives. Yes, that’s my understanding too that Helen used the pseudonym Becky to share the name of famed character from Vanity Fair. And thanks for the information on Jean Brittan, of whom I was not aware, just that she was listed on the legal contract. I plan to write some more pieces on La Verne Harding. She was a very important and enduring animator for Lantz, and in many ways despite being the milestone first woman animator at a Hollywood studio, she does not figure much into the written history of American cartoons. In her quiet way, though, she seemed to have had a big influence on her peers (in examples such as Gene mentions above) and Walter Lantz always praised her talent. She worked at his studio for several decades, showing an ability to change her drawing style with the changing times. Which cartoons feature these cameos? Very sweet woman. I enjoyed meeting her. I look forward to the next installment. I’d also love to know the details of the rest of her career, including which cartoons she worked on. And I’d like to know what happened with Cynical Susie. Did it last for many years and make Becky Sharp and the other artist wealthy? 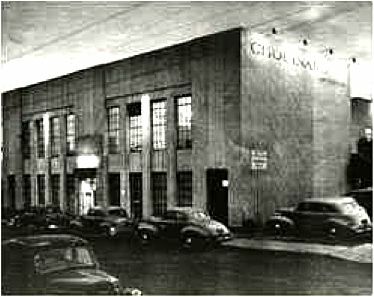 Harding stayed at Lantz until 1959, when she joined the Hanna-Barbera studio. 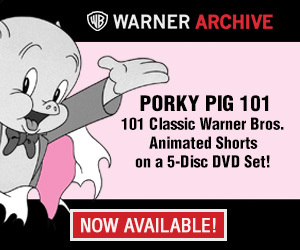 She also worked at DePatie-Freleng, Warner Bros., Format Films and Filmation. She retired in 1974.